Atmospheric pressure cold surface dielectric barrier discharge (SDBD) plasma was used for the first time to produce nano-sized organic crystals. 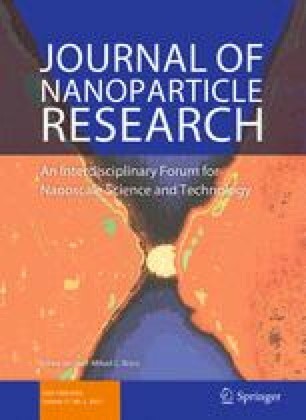 Nano-sized particles can have beneficial product properties, such as improved internal quality and dissolution rate, compared to conventionally sized crystalline products. In cold plasma crystallization a nebulizer system sprays the solution aerosol into the plasma with the help of a carrier gas. The plasma heats and charges the droplets causing solvent evaporation and coulomb fission to occur, after which nucleation and crystal growth commence within the small, confined volume offered by the small droplets. As a result nano-sized crystals are produced. The operation conditions of SDBD plasma to produce nano-sized crystals of the energetic material RDX were determined by scanning electron microscopy, and the product was investigated with X-ray powder diffraction and sensitivity tests. The sensitivity tests indicated that the nano-sized product had reduced sensitivity for friction, indicating a higher internal quality of the crystalline product. The authors would like to thank Willem Duvalois and Emile van Veldhoven for the SEM analysis and Ruud Hendrikx for the XRD analysis. Furthermore, the authors would like to thank Yves Creyghton and Marcel Simor for the technical discussions.